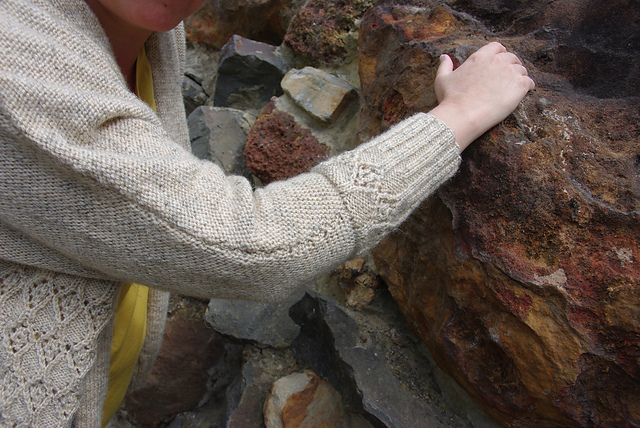 In November, I knitted and knitted and knitted some more and 27 days later I had a completed cardigan. 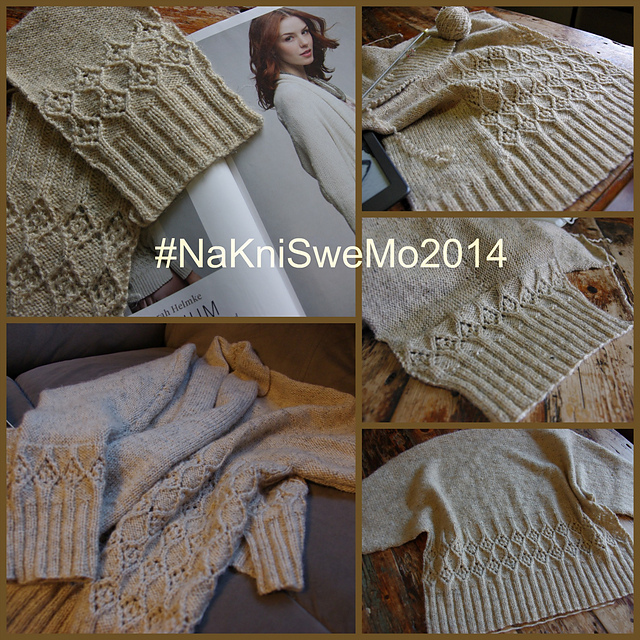 It was all in response to NaKniSweMo - a challenge to knit a sweater of more than 50,000 stitches in November. (The acronym stands for National Knit a Sweater in a Month. Though it should more properly be international these days). It was inspired by NaWriNoMo (National Write a Novel of 50,000 words or more in November). The sweater tried to document the process and kept a diary which you can read here. A sweater in a month? Why not? I’ve done it before. A sweater of 50,000 stitches plus in a month? Doable. When the month is November….? Now maybe, we’re pushing it. It’s marking month. I’m going on holidays at the end of the month. It’s late spring here in Australia and the weather is warming up. We’ve already had a few days over 30 degrees Celsius. And I have to finish my DFAD for the IFFF Fungus Among Us CKAL by the 18th. But what the hell, you never know till you try. It’s time to knit something substantial for me. I’ve knitted both Mark and Mel a jumper this year. I’ve made me two shawls and a stole and a hat and some fingerless mitts (2 pairs). Must be time for a sweater (or more properly a cardigan). 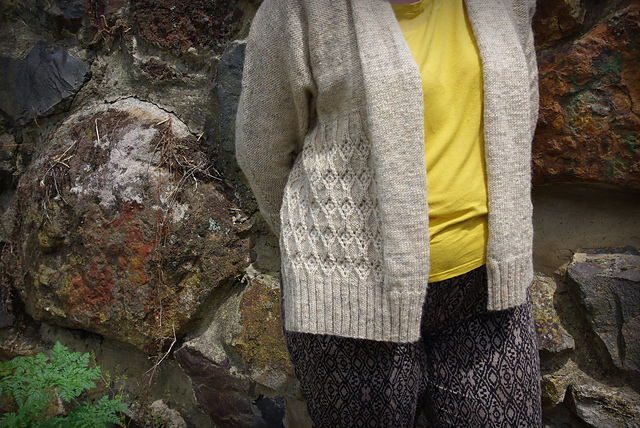 I’m not so much of a sweater girl but I do love me a good cardigan. 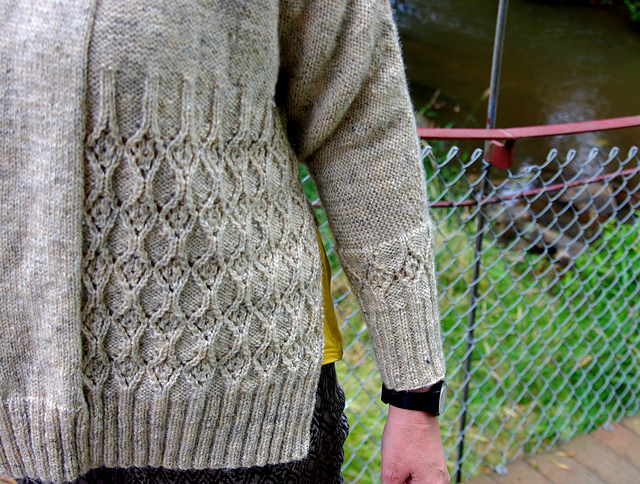 Rhodium has been on my radar / floating around the queue since I got a copy of The Knitter’s 70th issue. In fact, I pretty much want to make the whole platinum collection. I have three jumper lots of yarn for me just sitting around. This is going to be stash busting. I have some weird dirty cream / tan / latte coloured up-cycled yarn I got from the Lifeline Op shop for $5 for the whole bag. It’s a pure wool blend with little black threads and angora in it I suspect. I have 16 balls. I swatched on the 31st October and washed and blocked the swatches on the first of November. The pattern calls for DK weight yarn on 3.25mm. I knitted swatches using both 3.25mm and 3.75mm of all three main stitches. The row gauges given in the pattern for the rib are weird - less rows over 10 cm for rib than reverse stockinette? I’m going to match the row gauge for the reverse stockinette as the bulk of the jumper is this and it only has rib bands. I’ll count the stitches in a spreadsheet but a quick calculation based on gauge and the schematic is fine to meet the target of 50,000 stitches. The family is ambivalent about this and an overall finished garment. They like the colour, praise the execution and the lace but really dislike the overall design. Long fronts and a short back look weird according to them. I love how deliciously snugly and warm this is. They just don't get modern design. 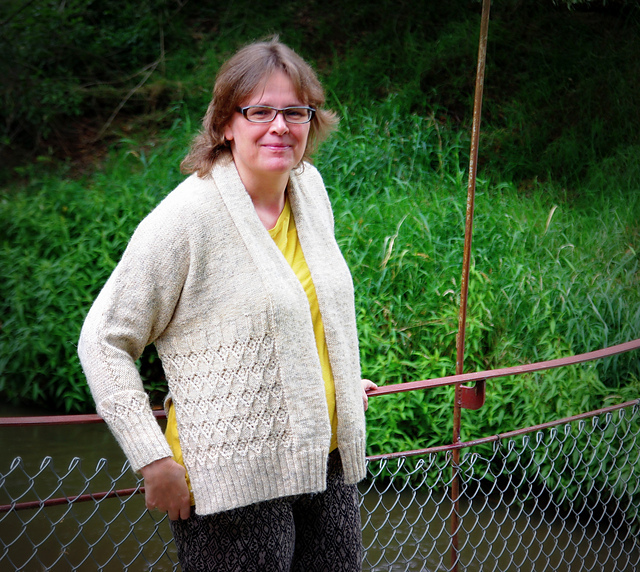 It took a while to get the finished modeled shots for this given I went on holidays as soon as I finished and it's been too hot to wear a winter weight cardigan. But finally courtesy of the non existent summer weather, we got the photo-shoot. Thanks to the boy for his awesome photography skills once again.